Set to Copy and Unroll. 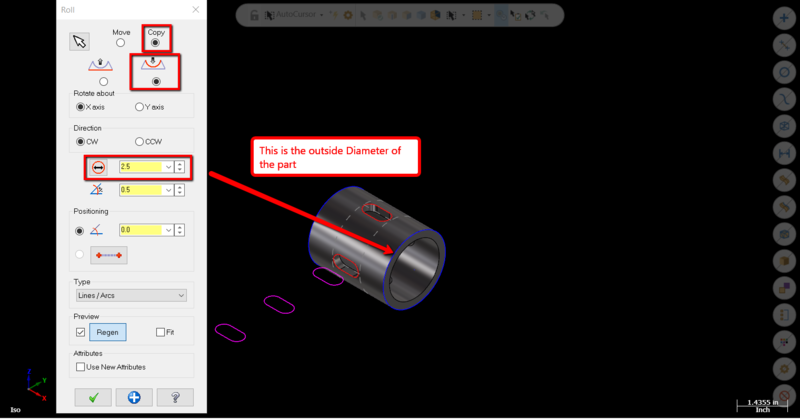 Then enter outside diameter of part. 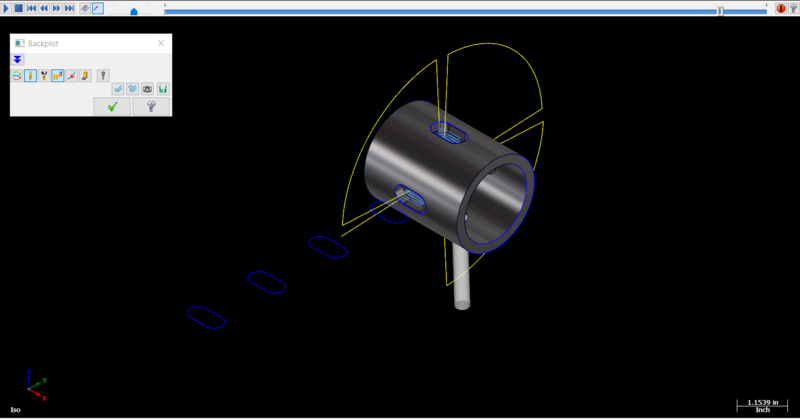 Note: In some cases your toolpath will not line up with your model after you do the axis substitution toolpath. You may need to adjust the Positioning Angle so they line up. 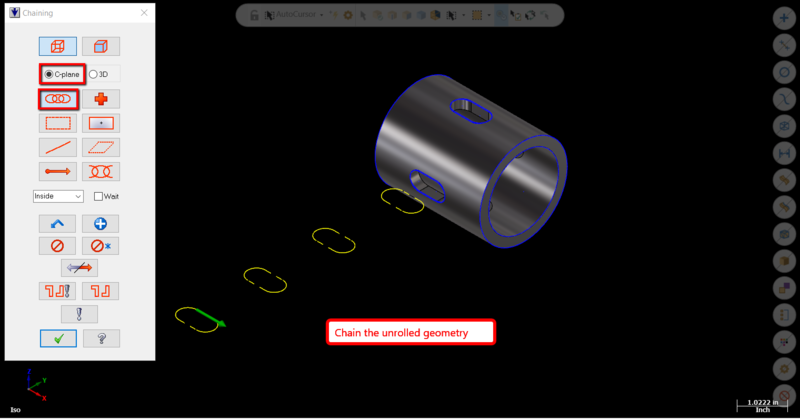 Select C-plane > Chain and then select the unrolled geometry. 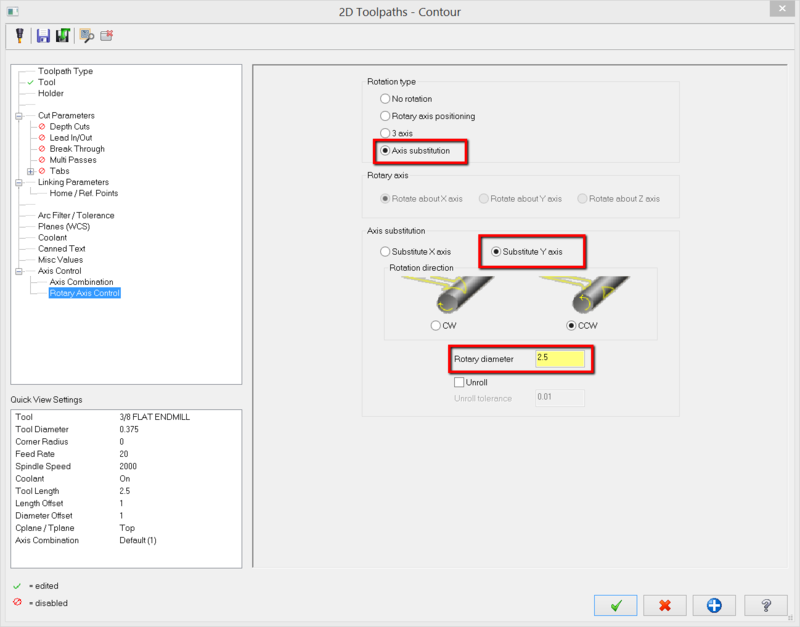 Review all toolpath parameters (as you would in any toolpath). 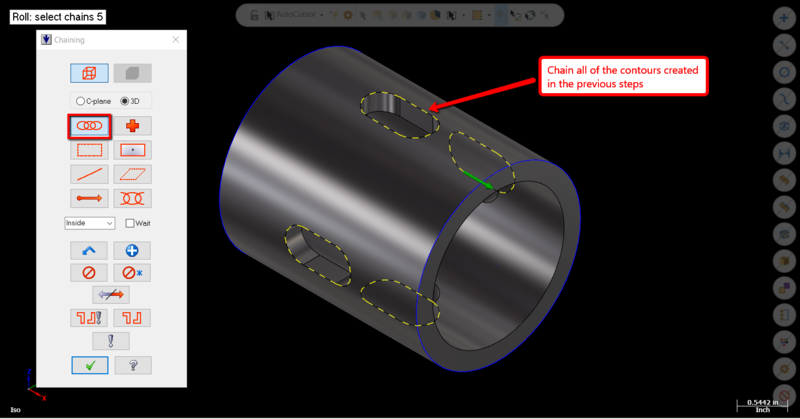 Under Axis Substitution select appropriate axis (in this example select Y axis is used).